The Evolution Rage2 utilises patented professional RAGE technology. 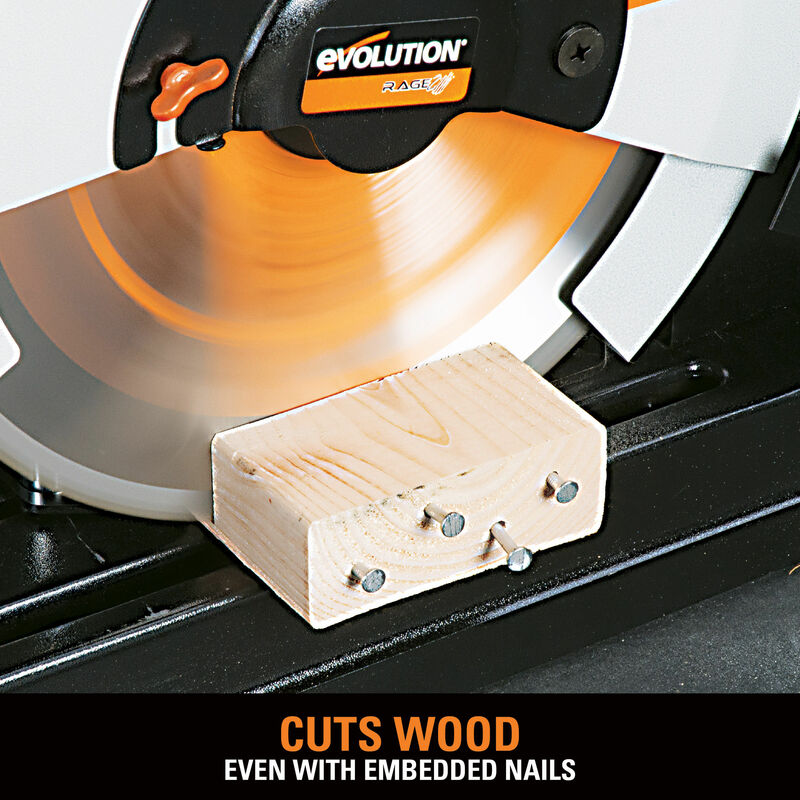 Easily cuts steel, aluminium, wood (even wood with nails) and plastic, using just one blade. 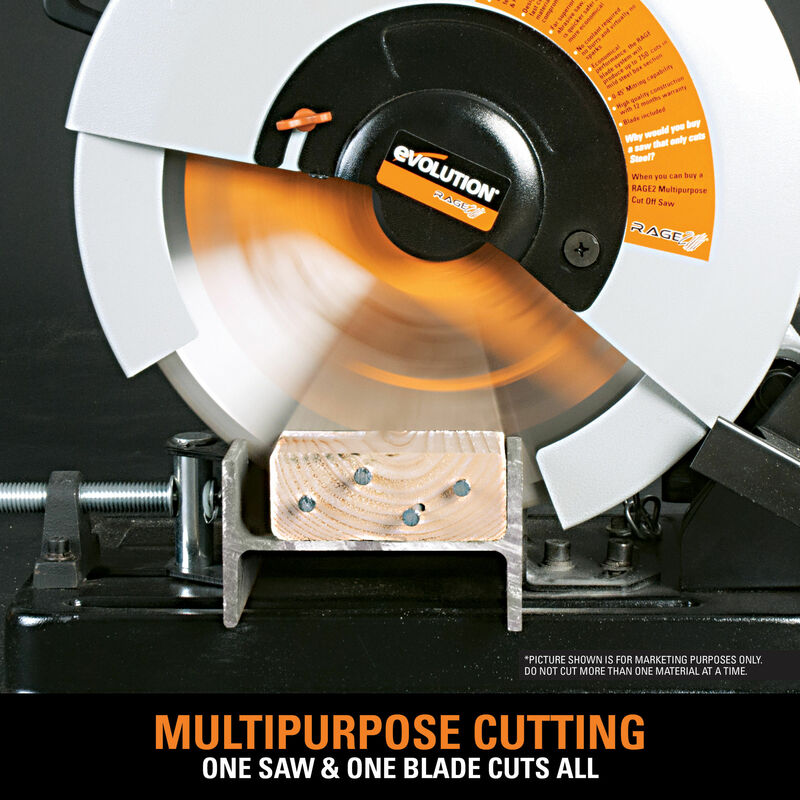 No blade changes equals hassle free, fast & easy work. 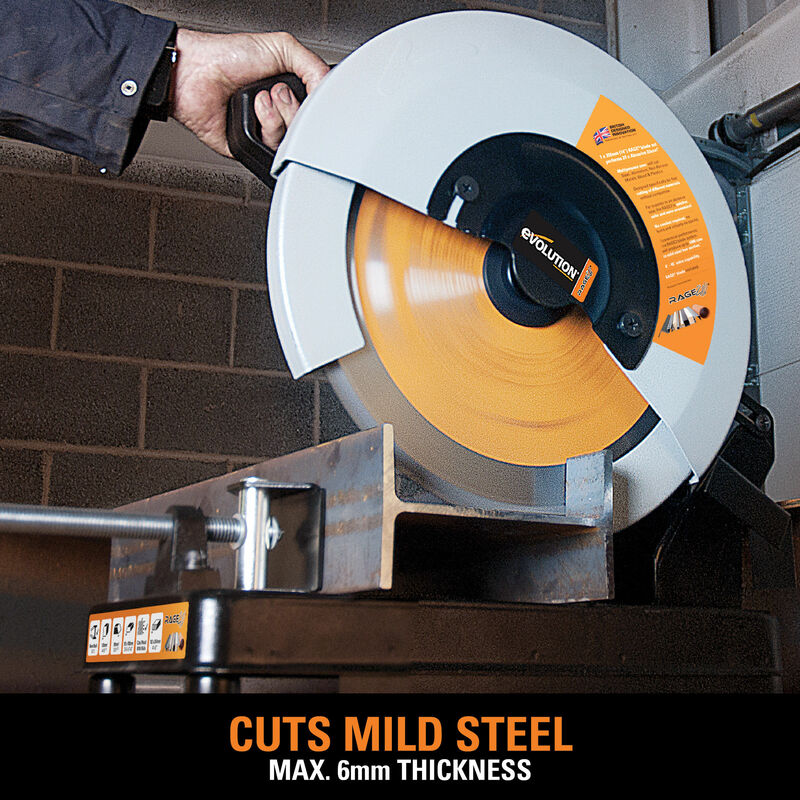 When cutting steel, it leaves an instantly workable finish, producing no heat, no burr and virtually no sparks, unlike alternative methods. 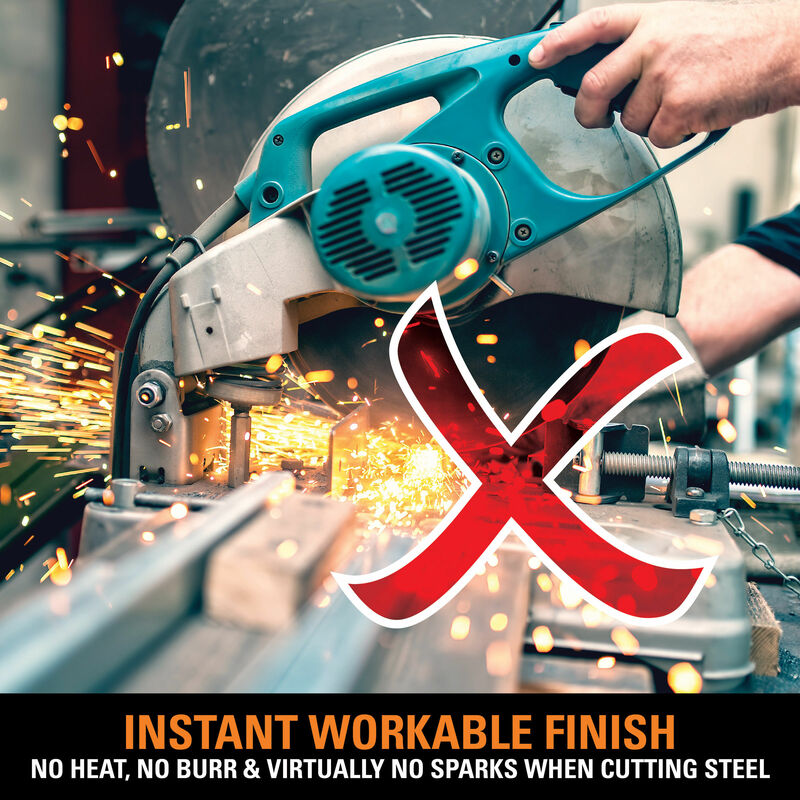 Save time, the Rage 2 is 4 x faster than abrasive saws with an instantly workable finish, which means no filing or grinding before the steel can be used. A fast action swivel clamp enables cuts to be made from 0-45°. Other features include a hi-torque gearbox which reduces motor stresses, improving performance and durability. 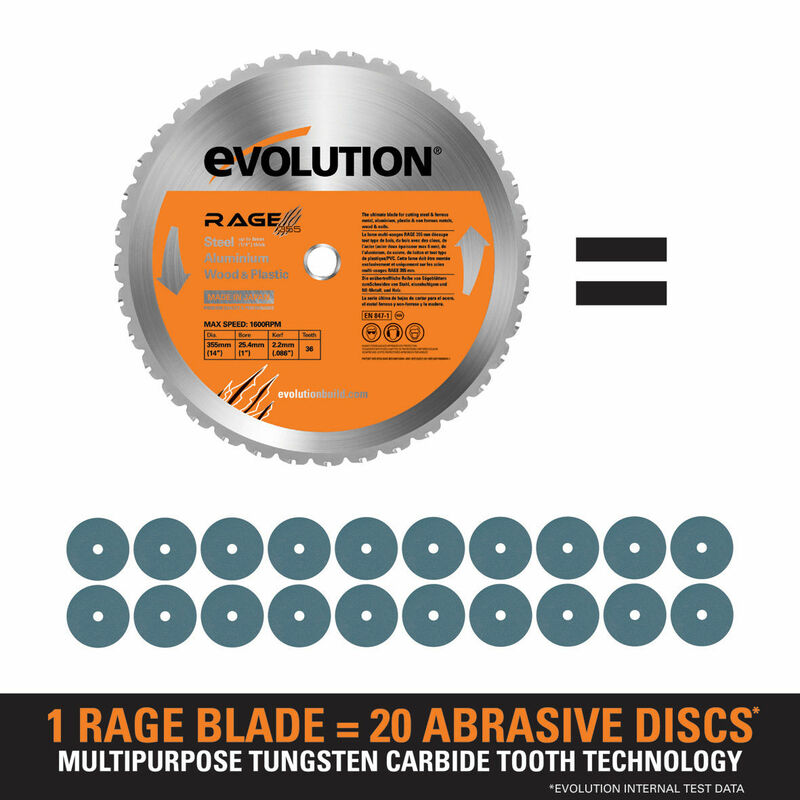 Evolution blades last longer than abrasives meaning a lower cost per cut* and do not wear down meaning no loss of depth-of-cut. 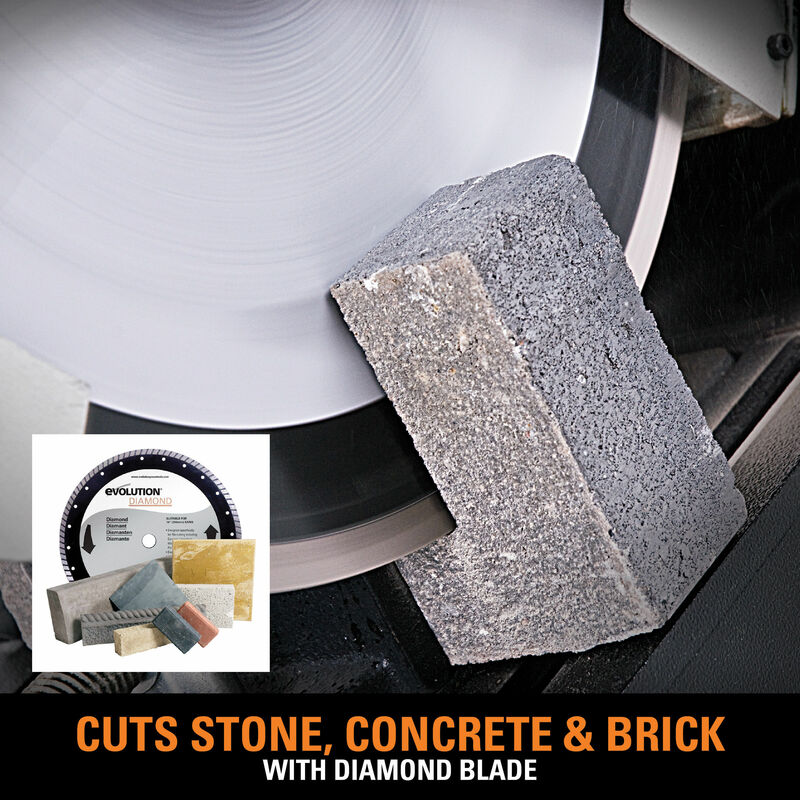 Don’t forget, Evolution’s accessories include the DM305 diamond blade available for cutting stone, concrete and brick. 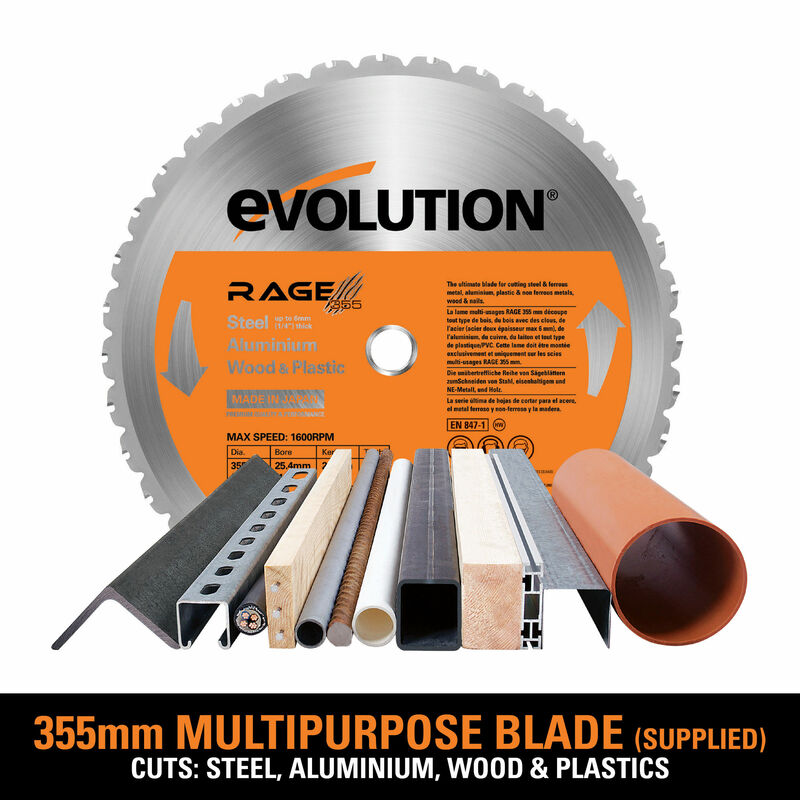 The RAGE 2 is supplied with a R355-TCTmultipurpose blade (36 teeth) with a 355 mm blade diameter and 25.4 mm bore diameter.